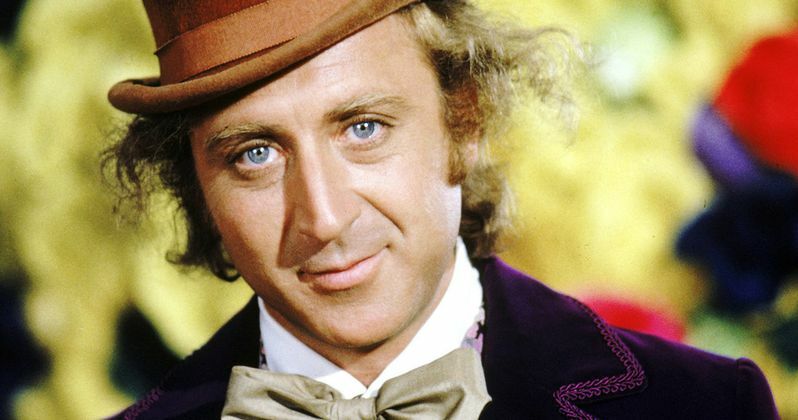 Warner Bros. has acquired the intellectual property rights to the beloved Willy Wonka franchise from the Roald Dahl estate, as the studio plans a new standalone movie. Harry Potter producer David Heyman is returning to the studio to produce alongside Michael Siegel, the manager of the Dahl Estate. The studio was reportedly trying to secure the franchise rights since the beginning of this year, with the deal finally closing this fall. Variety reports that Simon Rich (The Secret Life of Pets) has come aboard to write the script. Sources claim this project will not be an origin story, but rather a standalone tale focusing on Willy Wonka and his "early adventures." There is no word if the studio plans on utilizing other characters from Roald Dahl's Willy Wonka novels, but there is speculation that if this first project is a hit, characters like Charlie and others could surface in future projects. Roald Dahl wrote two books featuring Willy Wonka, 1964's Charlie and the Chocolate Factory and 1972's Charlie and the Great Glass Elevator, although he never wrote any specific books about the Willy Wonka character directly. Charlie and the Chocolate Factory was adapted for the big screen twice, the first, 1971's Willy Wonka and the Chocolate Factory, starring Gene Wilder as Willy Wonka, and 2005's Charlie and the Chocolate Factory, starring Johnny Depp. Gene Wilder passed away at the age of 83 back in August. Since this project won't be an origin story, it remains to be seen what approach will be taken to bring this iconic character back to the big screen, or how old Willy Wonka will be during these "early adventures." Courtenay Valenti and Jon Gonda are overseeing the project for the studio. The studio hasn't announced any production schedule details or set a release date at this time for the Willy Wonka Prequel. Shortly after Gene Wilder's death, AMC Theaters re-released Willy Wonka and the Chocolate Factory in theaters, alongside another one of the actor's enduring hits, Blazing Saddles. David Heyman is best known for producing all of the Harry Potter movies, including the upcoming spinoff Fantastic Beasts and Where to Find Them, which is set for release on November 18. Aside from creating additional characters for The Secret Life of Pets, Simon Rich served as a writer on NBC's Saturday Night Live and he is also credited with writing additional story material for Pixar's smash hit Inside Out.